Did you know that sometimes even very intelligent, talented people have a fear of having a will made? They somehow think that you only plan your estate just before you die. Some even believe if they have a will made they will die soon. 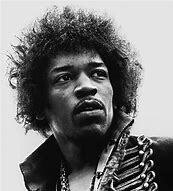 Did you know that President Abraham Lincoln, Dr. Martin Luther King Jr., Jimmy Hendrix, and Sonny Bono all died without having a will prepared? Having an estate plan, or not having an estate plan has nothing to do with when you die. None of these men had even the most basic estate plan, yet they are still deceased.